TATU Project is a non-profit organization that facilitates an equal and sustainable development for the rural community of Msitu Wa Tembo and Londoto in Northern Tanzania.We address community needs and build effective solutions through active collaboration with members of Msitu Wa Tembo and Londoto and relevant stakeholders. 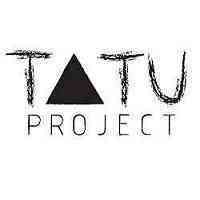 TATU Project is an organization that depends on its own funding activities as well as external funding. The main point of our strategy is to have a variety of income sources and try to be as sustainable as possible. The Fundraising Assistant will support the Communication & Fundraising department. • Experience using customer/donor databases. • The internship is UNPAID. • The minimum time commitment would be 6 months. • Live and work abroad at the base of Mt. Kilimanjaro in Moshi, Tanzania with an international NGO. • Work with a diverse international team while learning about sustainability and international development. • Experience in collaborating with local & international partner organizations. • A dedicated, friendly team and positive, dynamic working environment. • Participate in day trips and activities in and around Moshi.